The term “disability” can encompass a number of conditions including cognitive, physical, psychological, acquired or congenital conditions. The Individuals with Disabilities Education Improvement Act (IDEA, 2004) recognizes 13 distinct disability categories for eligibility for special education services. For the purposes of this chapter we focus on those disabilities that include significant behavioral, psychological, and cognitive impact, specifically, neurodevelopmental disorders. Although focusing on a specific diagnostic category (e.g., traumatic brain injury [TBI] or intellectual disability) may make for clearer diagnosis-to-treatment conclusions, many of the disorders for which parents seek assistance include overlapping symptom profiles and comorbid diagnoses. Neurodevelopmental disorders (ND) characterize a number of developmental disabilities including Intellectual Disabilities (ID), communication disorders, Autism Spectrum Disorders (ASD), attention deficit hyperactivity disorder (ADHD), neurodevelopmental motor disorders, and Specific Learning Disorders (SLD) (American Psychiatric Association [APA], 2013a). Symptoms range widely, but generally involve one or more impairments related to personal, social, academic, or occupational functioning that generally manifest before a child enters grade school (American Psychiatric Association [APA], 2013a). Although not categorized as such in the Diagnostic and Statistical Manual of Mental Disorders (5th ed. ; DSM-5; APA, 2013b), Neurobehavioral Disorder Associated with Prenatal Alcohol Exposure, otherwise known as Fetal Alcohol Spectrum Disorder (FASD), is considered an extension of ND given the neurological basis and the similarities in functional impairments (Di Pietro, Whiteley, Mizgalewicz, & Illes, 2013). Moderated Discussion Board: Online discussion boards that are monitored by a group leader, community organizer, consultant, or professional who can comment on the community’s discussion, monitor for abusive or inappropriate content, and ensure the sharing of quality information. Acceptability Divide: The acceptability divide describes the extent to which users may be able to access the internet to get information but may find that information not easy to read, unreliable, not trust-worthy, intimidating, or confusing. Synchronous Communication: Sometimes called “instant messaging” or “chatting,” synchronous communication provides a way for persons to communicate with almost instantaneous delivery and receipt of messages allowing for more natural conversation. This can include text-only or video chat options. Supportive Platform: A way in which parents may use online environments to find other families who are facing similar challenges in order to gain emotional support, ideas that may help their child or family, and make friendships. E-Health: E-health services include those in which parents participate in parent training, consultative, or intervention services using online learning materials, and synchronous (i.e., real-time) online coaching through Skype or similar applications. Telemedicine: Services delivered to families in dedicated telemedicine suites that are hosted in a regional health care center or other clinics (e.g., mental health agencies, hospitals) that include real-time video and audio communication. 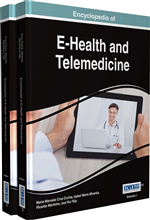 The term is also used to refer to internet-based or e-Health services, however, this chapter makes a distinction between the two. Telepsychiatry: Telemedicine services that are specifically geared for psychiatric services such as medication prescription or monitoring. Digital Divide: The degree to which certain persons may have no, limited, or unreliable access to the network that limits their capacity to participate fully with online communities or other online tools. Advocacy Platform: A way in which parents may use online environments to gather support from parents, policy-makers, professionals, or other stakeholders in order to raise awareness, funds, or increase dissemination of knowledge about issues effecting their children. Asynchronous Communication: Communication on discussion boards, social media posts, or other online environments where individuals cannot “talk” to each other in real time though not immediately after those have been posted. Web 2.0: Internet interfaces that include user participation by way of commenting, posting, uploading media and content, and other interactive features. Web 2.0 includes examples such as blogging, microblogging (e.g., Twitter), social media, and content sharing.